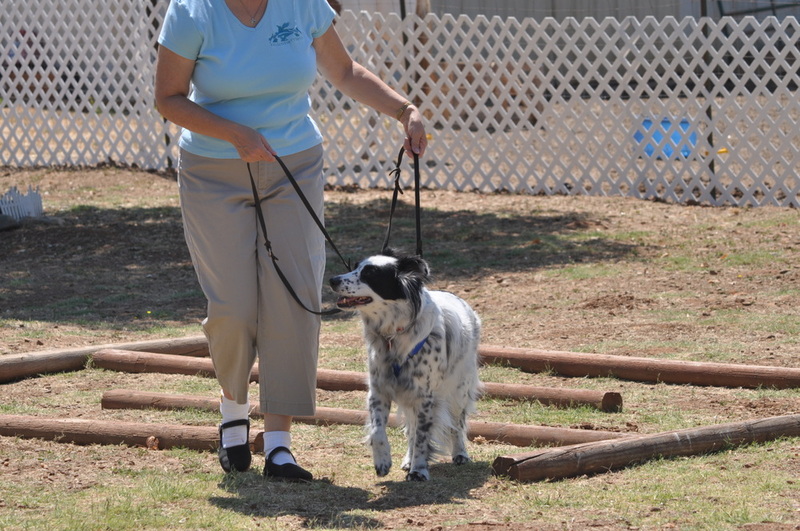 "This type of training maintains a connection between pet and owner. It certainly keeps the atmosphere more peaceful." Circular touches, slides, and lifts; plus, non-habitual movements affect an animal at the cellular level changing the way they feel and think. Unused neural pathways are positively affected allowing animals to think and act, rather than just react. It is important to note that the touches are not massage. The connected touches are light and the goal is to gently move the skin rather than massage the muscles. The body wrap helps animals get a sense of their own body and will make them feel more confident. You can think of body wraps as "hugs" as they can calm the nervous system in stressful situations. They are used for animals that are fearful, nervous, or hyperactive. 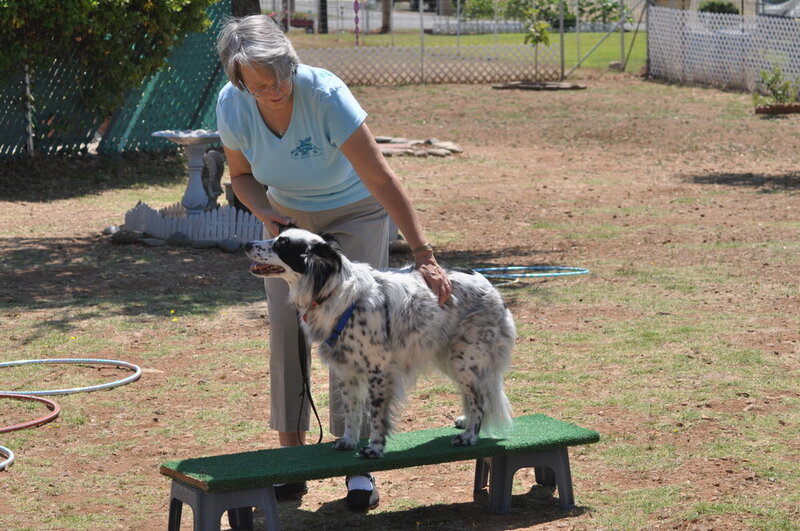 They are also used to help injured animals during their recovery period. Older, arthritic animals, and dogs with hip dysplasia can also benefit from the use of a body wrap. Please be aware that the body wrap is not a substitute for quality veterinary care in the case of injured or sick animals. The Playground for Higher Learning® is made up of a labyrinth, platforms, boards, a variety of surfaces, and other obstacles. 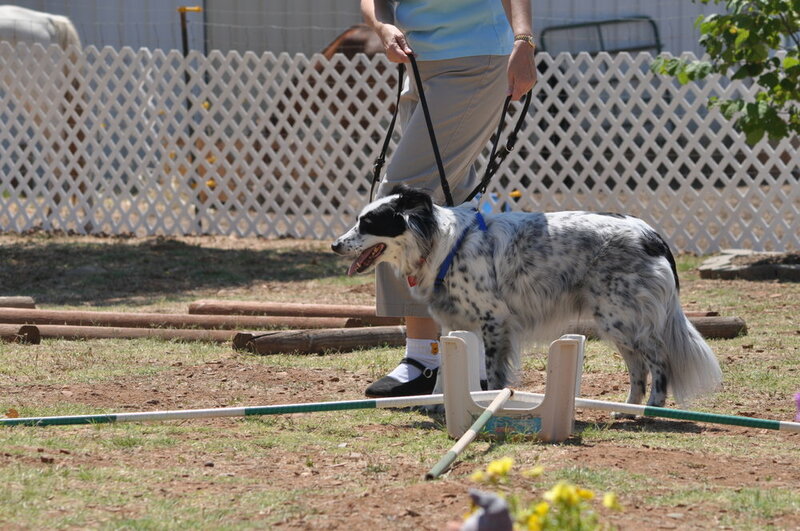 It resembles an agility course, but instead of rushing through the course, dogs are asked to walk slowly and think. It is used to develop awareness and confidence: focus, coordination, cooperation, and balance are increased. My obedience classes are taught using the Playground for Higher Learning®. Please note: The Tellington TTouch® Method is not a substitute for veterinary care.